Walk into any bar with a decent beer list, and you’ll probably notice that they serve your Belgian Blonde in a different type of glass than the German Pilsner the guy next to you ordered . This is for a reason, of course, and it’s somewhat of an art form to learn which beer goes in which glass. 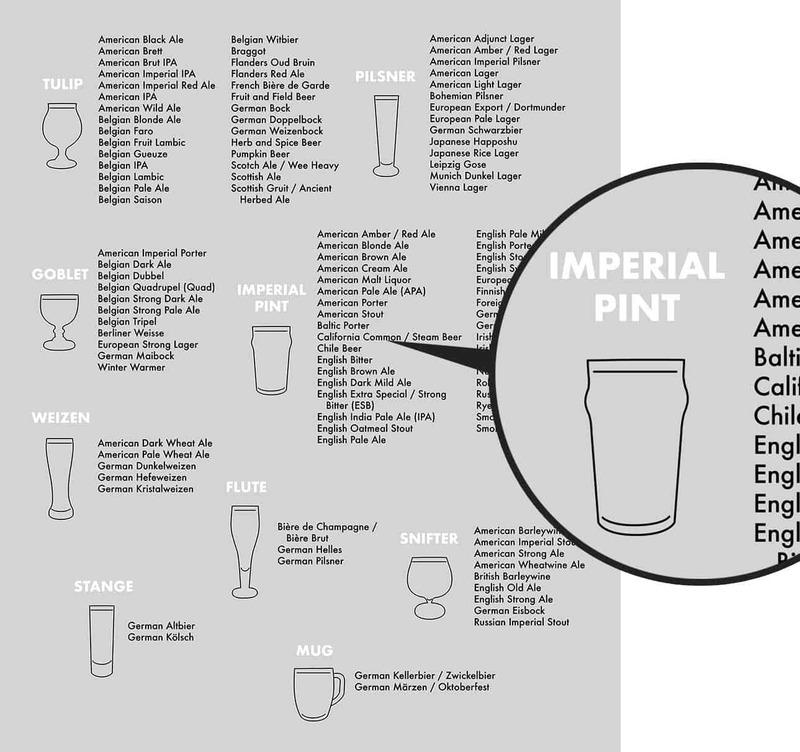 But we’ve taken the guesswork out of it for you by creating this handy modern beer glass guide. And here’s the best part… it’s a free download, so you can print it out, frame it, and hang it on that empty wall of yours. 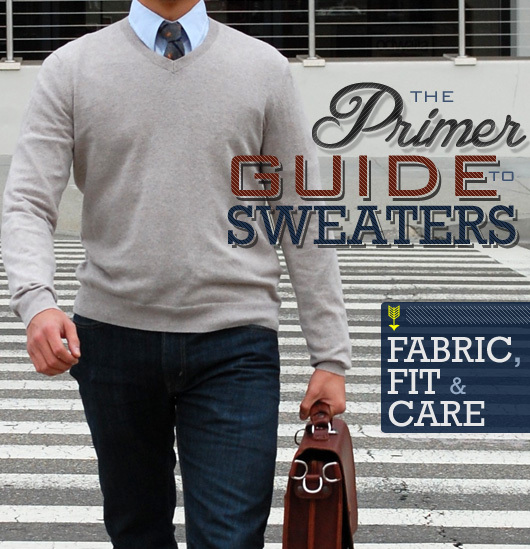 It can be printed at any size(!) 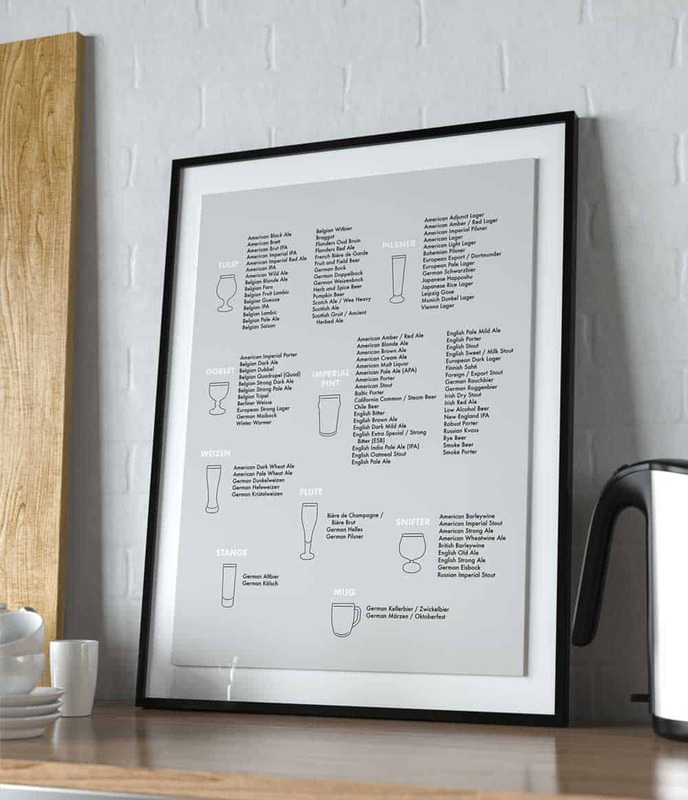 and would look great anywhere in your apartment; the kitchen would be an obvious choice, but above the sofa in your living room (where you probably consume most of your brewskis) would work, too. Click below to download the file, and then head to Staples or Costco for poster printing. We’d love to see photos of your beer glass art in your space… Upload a photo in the comments and be sure to tag @primermagazine on Instagram. 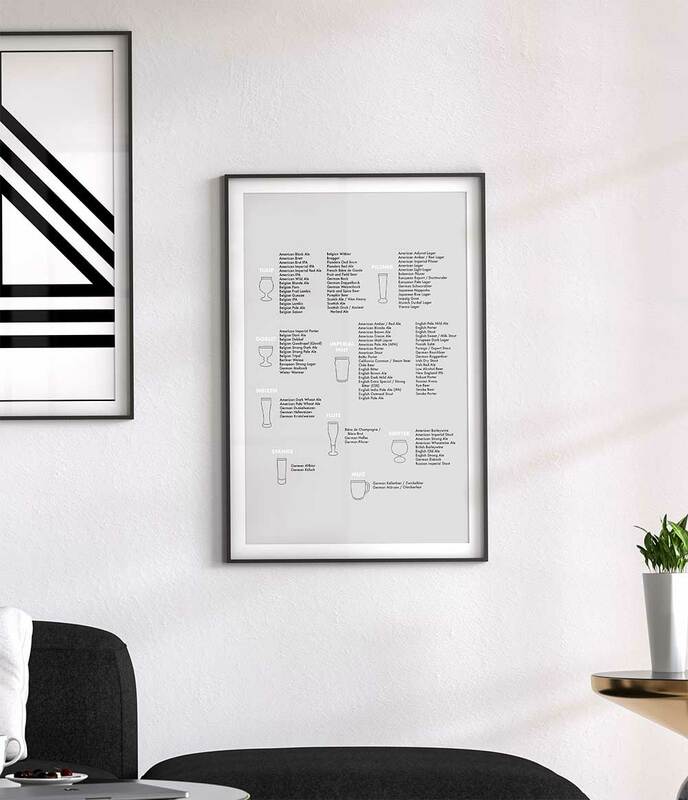 And check out Primer's complete series of free art downloads, with over 25 free posters and prints currently available to make your blank walls feel more like a home.